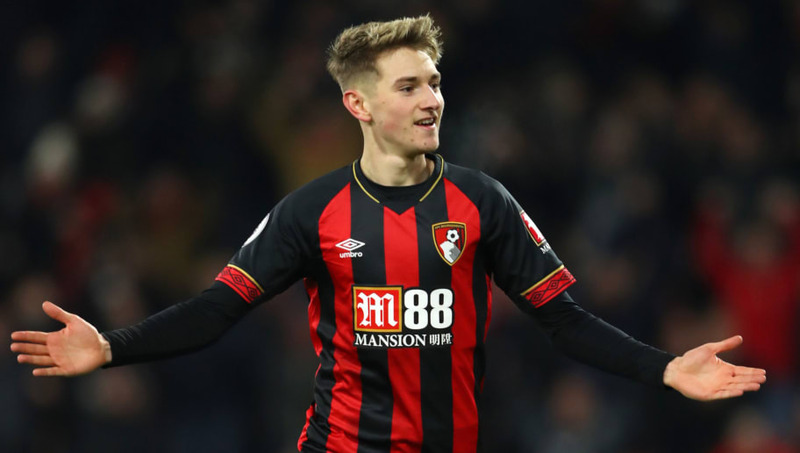 ​Bournemouth manager Eddie Howe has dismissed speculation linking midfielder David Brooks with a summer transfer to Tottenham. The 21-year-old only moved to the Cherries in a £10m switch from Championship side Sheffield United in July 2018, but the Wales international's performances in his debut Premier League season have already fuelled rumours of a move away from the Vitality Stadium. However, Howe has rubbish speculation that a reported £50m summer move to ​Spurs could be on the cards for Brooks, stating that the midfielder has a key role to play at ​Bournemouth. When asked about Brooks' future, Howe said as quoted by the ​Daily Echo: “David [Brooks] is a massive part of what we are doing here. Despite the step up from the Championship to the Premier League, Brooks has immediately become an integral player in Howe's team, featuring for the Cherries on 22 occasions in the Premier League this season, scoring six goals and grabbing four assists. Brooks' statistics this season are all the more impressive considering he only scored three goals in 30 Championship appearances for the ​Blades last season. Tottenham may be considering Brooks as an option to replace ​Christian Eriksen, should the Danish midfielder depart the north London club in the summer after stalling on signing a new contract. Bournemouth currently sit tenth during their fourth Premier League season, since their unlikely promotion to the top flight in the 2014/15 campaign.